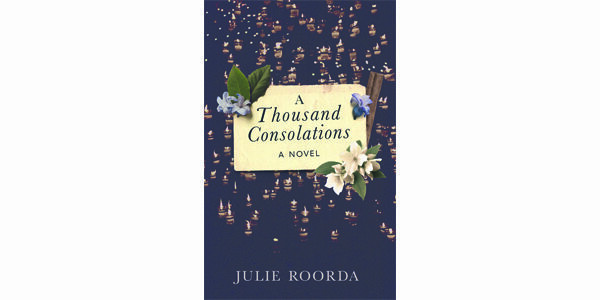 “Love is not an emotion, but a sense.” Thus begins Julie Roorda’s sweetly funny debut novel, a story of the unexpected romance between Paula, a grieving Toronto widow, and Héctor Vargas, a pianist on the run from Mexican narco mobsters who have cut off three of his fingers. Paula has countered her grief over her actor husband’s death with the orderly scaling down of dreams – once an actress herself, she now makes and sells candles to those eager to believe in the magic of aromatherapy and love. Héctor, meanwhile, faces the turbulence of his own life with candour and a charm that quickly throws Paula’s placid existence into joyous disarray. Roorda, author of three collections of poetry and the short-story collection Naked in the Sanctuary, has a knack for witty dialogue and an eye for the sharp, smart details of friend and family dynamics. (“‘Our mother is coming for Christmas,’ the sister tells me. ‘Last year we had to get a restraining order.’”) The romance between Paula and Héctor unfolds in chapters that alternate with the story of Paula’s first marriage to Teddy, offering a unique perspective on these parallel aspects of Paula’s history. It’s a structure that allows us to see the full extent of Paula’s growth, and Roorda plays it out to excellent effect. The relative ease of the romance with Héctor does, at times, feel a little unrealistic. Despite the shadow of deportation that hangs over the charming Mexican pianist, it’s hard to believe that anything truly bad will happen to this couple. It’s also hard to believe that sensible Paula ever fell for her wide-eyed, optimistic, and borderline narcissistic husband in the first place. Love is a sense, yes, and it’s at its best in this book when there are no expectations of endings either happy or tragic. The day-to-day moments of connection are where this novel really shines.